CFRM offers an extensive range of career services to its MS students. These services range from hosting networking seminars, sponsoring local finance industry events, career and internship workshops, a presence on LinkedIn, and other activities in an effort to facilitate internship and career placement. Information on job placement for CFRM MS graduates is also available. 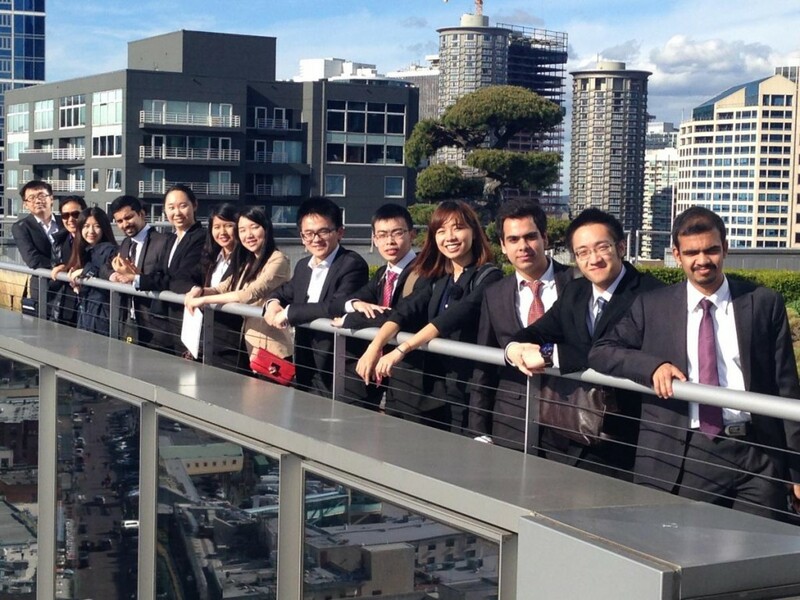 Students attend an exclusive interview event at Russell Investments in Seattle. CFRM has a Career Services Manager who works exclusively with CFRM students on internship and job placement. In addition to one-on-one advising appointments, workshops are offered to deliver fresh and relevant details about self-presentation, job hunting, networking and interview skills, salary negotiation, and resume and cover letter advice. Each year we compile a CFRM Resume Book featuring first-year campus MS students resumes. The book is then distributed to hundreds of companies in Seattle and around the U.S. for summer internships and potentially other job opportunities. The CFRM program has developed partnerships with finance industry organizations such as the Chartered Financial Analyst (CFA) Society of Seattle, the Global Association of Risk Professionals (GARP), and the Seattle Alternative Investment Association (SAIA) to sponsor local events and provide networking opportunities for our students in attendance. We also attend the annual R in Finance Conference in Chicago, Illinois. CFRM hosts guest lecturers in the field of computational finance and risk management throughout the academic year. Industry speakers provide our students with an insightful look into the world of finance while the informal setting provides networking opportunities. Past lectures are listed in our Event Archives. In collaboration with the UW Career & Internship Center, the CFRM program has offered its students dedicated workshops for professional enhancement. The Career Center also hosts job and internship fairs, workshops and employer information sessions, and a job posting board called Handshake. ©2017 Department of Applied Mathematics, University of Washington. Copyright and Privacy Information.